–Stephen Amell, while showing off his new Green Arrow costume, tells the audience his city will no longer be called Starling City, but instead Star City. – Amell answers when asked if Oliver will be more silly like his comic book counterpart. – David Ramsey might need to change his style to fit with Diggle's new suit. – Andrew Kreisberg reveals a new enemy ahead. – Geoff Johns drops some trivia for fans of both mediums. 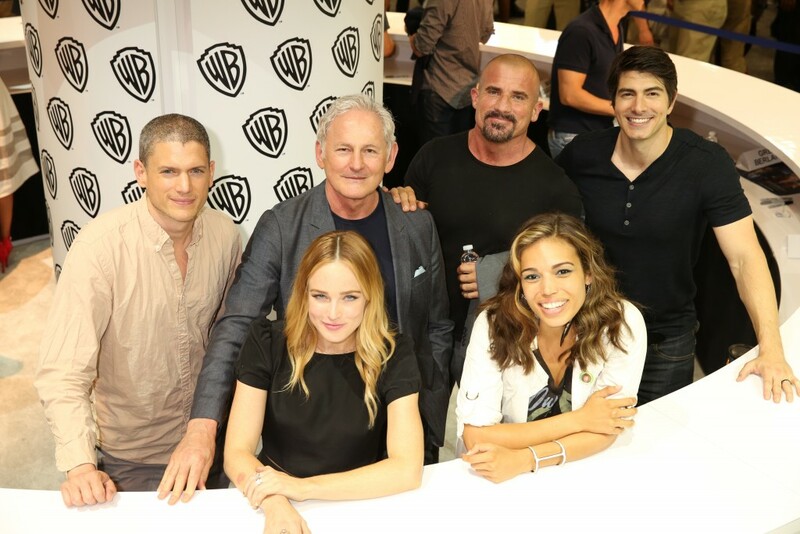 – Victor Garber talks about Dr. Martin Stein / Firestorm's relationship with the new Legends of Tomorrow team. – Marc Guggenheim gives fans something to look forward to. – Geoff Johns has high praise for Batman. – Melissa Benoist says her Supergirl suit really does have power.